The letter below, franked with the 2s. 6d. 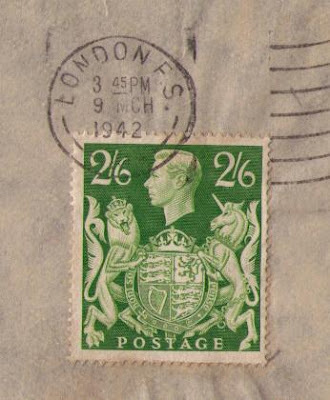 yellow-green stamp, was mailed from London to New York City. At first glance the cover seems unremarkable but it is really quite special. 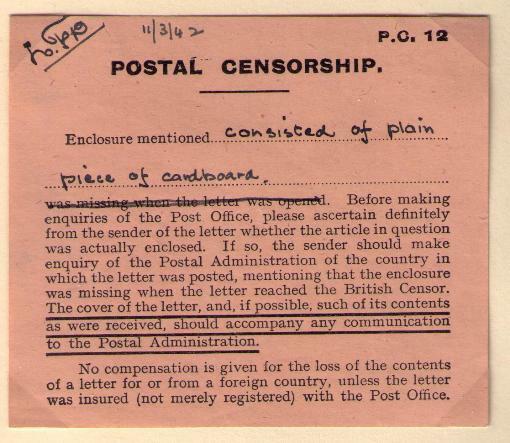 Why would anyone mail a piece of cardboard by air mail at 2s. 6d. ? The date of mailing provides the answer. March 9, 1942, was the first day of issue of the 2s. 6d. yellow-green stamp.